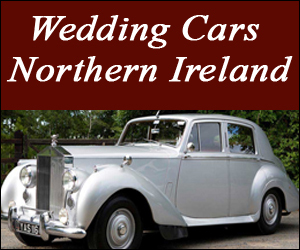 LURGAN LIMOS is a family run company offering a chauffeur driven limousine to customers through-out Northern Ireland. Our car is a new shape Ford Lincoln Town-car, which runs on LPG fuel, is friendly to the environment and cheaper to run allowing us to pass on the savings to you the customer. With 4Lcd TVs, CD/DVD player, Disco Lights, Air-con, Fibre optic lighting, Mini-bar with Crystal decanters, Karaoke machine, Internet access, playstation, FREE BOTTLE OF BUBBLY and friendly drivers the business provides a professional limousine hire to the general public. The journey is intended to be relaxing, fun and enjoyable, which will add to your special occasion. The business is able to offer a reliable service for Weddings, Formals, School Proms, Hen/Stag parties, Birthdays, Music concert events, nights at the races and all Executive hire. Tailored to your requirements the service is suitable for both 'young and old' and you can be assured to ARRIVE IN STYLE.